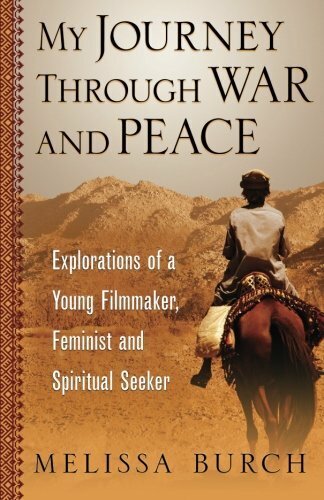 “My Journey Through War and Peace” by Melissa Burch is the author’s memoir of her experiences in the 1980s, including her freelance filmmaking in Afghanistan and the Soviet Union. It also includes her strained relations with her family, her loves at home and abroad, and her quest to find independence and self-identity. Her retelling of the Afghanistan experience is the best element of the book, by far. At only 21, she went to Afghanistan to film the Afghan-Soviet war. She was assigned by an Afghani leader to a seven-man mujahedeen unit. The unit was ordered to ambush a Soviet convoy so she could film it for an American and British audience. Burch did shoot an ambush, with the Afghan destruction of a Soviet truck and the Soviet destruction of an Afghan village. Burch later shot footage of an already-downed Soviet helicopter. CBS News spliced the footage of the small ambush and the helicopter scene, together with someone else’s training footage, to present it as a much larger battle. Burch returned to Afghanistan a few years later to track down a story of local cease-fire. A local mujahedeen leader and his Soviet Red Army counterpart tacitly agreed to stop fighting. It appeared to be an amazing story, and Burch had to cross the treacherous mountains from Pakistan to get it. She got the story, with the necessary film, but no one wanted to air it. It simply did not fit the network’s narrative for what was going on in the war. Both Afghan stories, as well as a later film expedition in the Soviet Union, are told crisply and with surprising detail – surprising since the book was written decades after the experiences. They also lay the foundation for her life journey, since her dangerous and arduous reporting was unappreciated by network news. Burch mixes the overseas stories with remembrances of her home life in Washington, D.C., and her return trips to visit her family. Her relationship with her mother was especially poignant. The mother was an alcoholic and sometimes overbearing. She was also the family breadwinner and a feminist and, ultimately, an inspiration to the author. The author’s father was a Zen Buddhist, as the author eventually becomes. The book is designed, in part, as Burch’s quest for spirituality, which ultimately leads her to Zen Buddhism. In this area, I felt the book didn’t quite get there. There is little of her experiences in the 1980s that would inexorably lead one to Zen. Perhaps her memoirs of the next decades might fill in this gap. Unless the author is already rich and famous, it is difficult to make a memoir entertaining or engrossing. Yet Burch does a wonderful job in translating her personal experiences, though decades past, into a compelling and inspiring story.